The Another Broken Wizard giveaway is over. But to express my thanks to everyone for the tremendous groundswell of support, it will be just $.99 for the rest of the month. And special thanks to the roughly 1,500 of you who picked up a copy of Another Broken Wizard since Thursday. You helped push it as far as #16 on the Kindle Store’s Literary Fiction Bestsellers, just between Jack London and Jane Austen. I hope you enjoy the book, and that you write a review, tell a friend, and spread the word. It’s a fun advice column I’m working on about how to remain a gentleman through the many baffling situations of our age. We’re answering a new question every weekday, and we’d love to hear yours. The bad news is that this is the final day of the Another Broken Wizard giveaway. The good news is that you can still pick up a free copy for the next 24 hours. So go for it, and tell your friends. And many thanks to the more than 1,300 of you who downloaded Another Broken Wizard in the U.S., UK and Germany since Thursday. I hope you enjoy it. 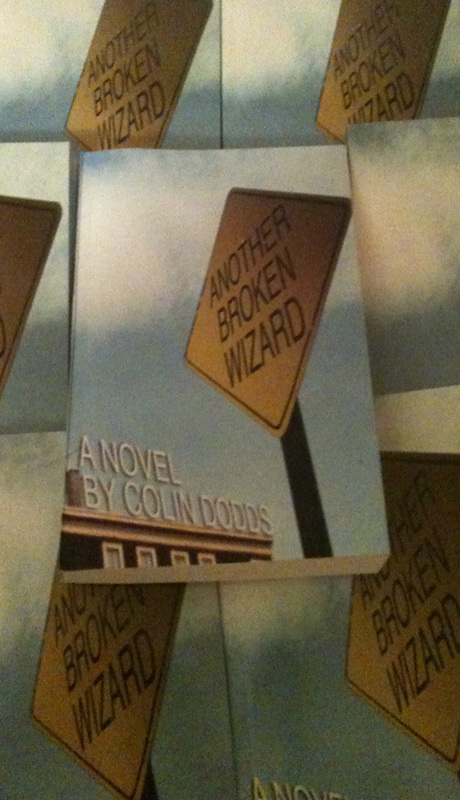 Thanks to the 850 or so of you who picked up a free copy of Another Broken Wizard yesterday. You helped push it to #16 on the Kindle Store’s Literary Fiction Bestsellers, just between Jack London and Jane Austen. So tell your friends about Another Broken Wizard, and help me leapfrog Tolstoy, even if just for a few hours.